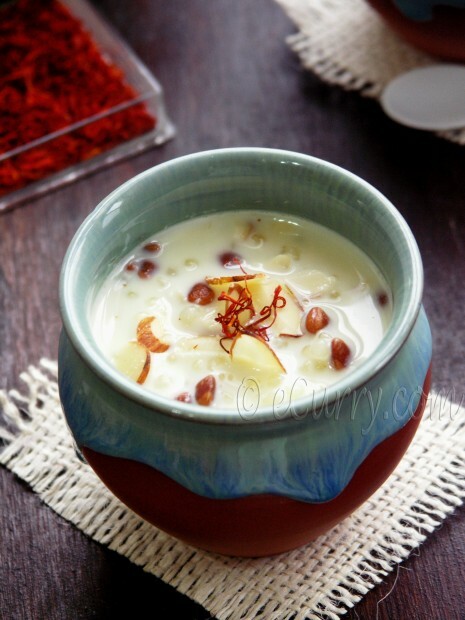 I cannot say that the sabudana kheer is something I grew up with. In fact I never had it till I made it myself. 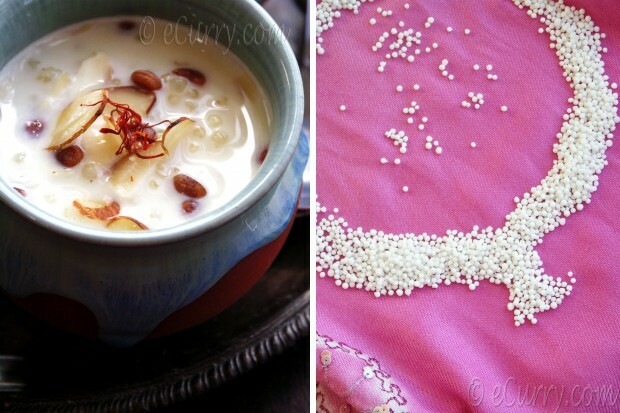 While the Tapioca Kheer/Pudding is a must for special and religious occasions in some parts of India, it is not traditional in my part of the country where I grew up. The only form I have seen the Tapioca pearls cooked, is the savory pilaf kind. Besides the predominance of rice pudding in West Bengal leaves no spot for anything else. While the east coast got buried in snow, we have been having the most unusual spring like weather in the midst of winter – warm, breezy and some heady sunny days before we become victims of the ice again. But we had the loveliest times outside and inside with windows open with the sun and breeze streaming in the warmth and sweet like a baby’s breath. I started enjoying the tapioca pearls in custards, esp. mango custard, which is delicious. And now I have really fallen in love with the Tapioca pudding. The Tapioca pearls are beautiful! I got these tiny Thai Tapioca Pearls and these had been so easy to work with. There was no need to soak them for a long time, neither did I have to let it sit and fluff for as long as the large pearls. The texture of the pearls add to the creaminess of the dish, gives it a beautiful luminous gloss and the pudding is unbelievably quick and easy to make. Indian pudding without saffron and nuts is unthinkable, so I added lots of both. With the use of some good saffron and generous use of it you will get a deep yellow color for the pudding. The longer the pudding matures, the more the flavor and color of the saffron intensifies. (The pale yellow here you see turned orangish yellow a day after). 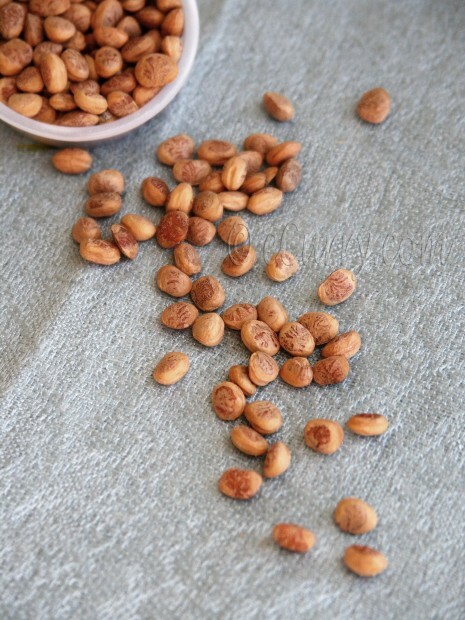 This time I used the Chironji/Charoli (tiny little nuts which tastes almost like almonds, but in little bites) for the very first time. 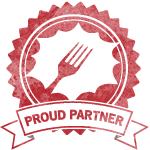 If you are not familiar with the , this is what they look like. Few ingredients, a little bit of time, lot of aroma and and a sensual dessert. Use any kind of milk, or a combination of milk and cream. If you desire a creamy pudding, use a combination of milk and cream, or all half and half. 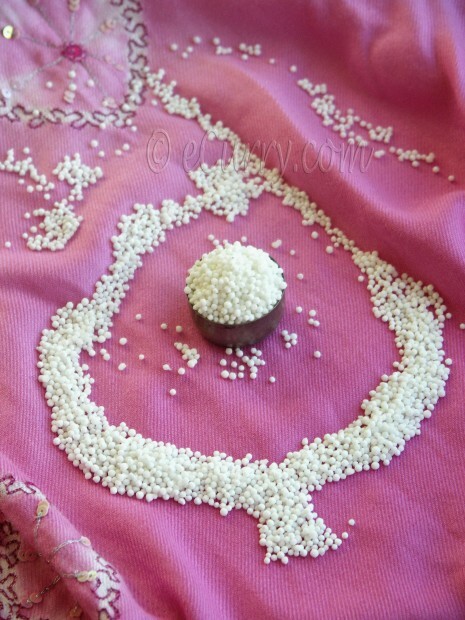 If you like a pudding of thicker consistency, use less milk for this amount of Tapioca pearls. To make it vegan/lactose free, use Almond Milk. The flavor is really good with the flavor of almond. 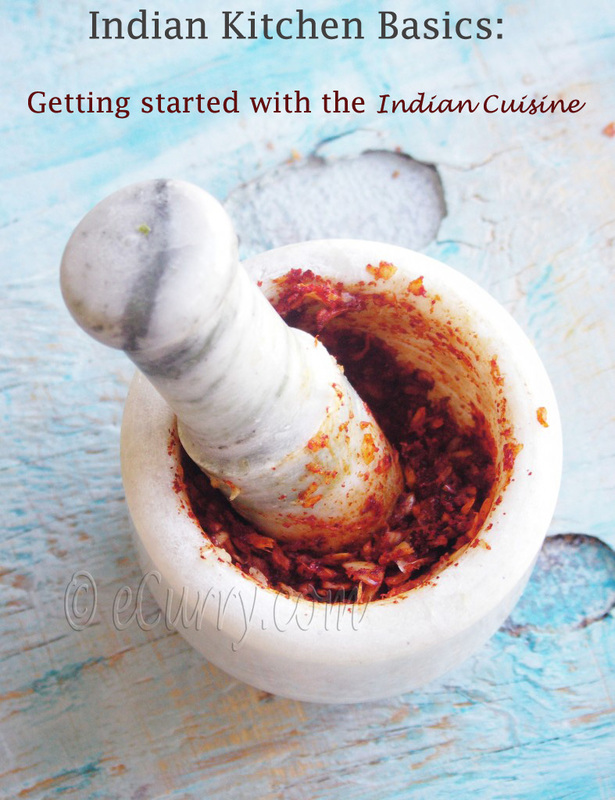 Crush the cardamom seeds (discard the skin of the cardamom) and the saffron to a powder with a mortar and pestle. Toast the nuts very lightly. In a thick bottomed pot, bring the milk to a slow boil at low to medium heat. Keep stirring the milk to prevent it from sticking at the bottom of the pot and scorching. Add the ground cardamom and saffron to the milk. Simmer the milk for about 15 minutes while constantly stirring. 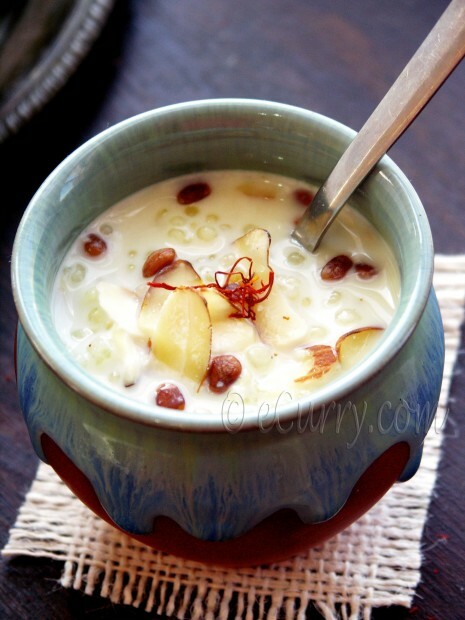 Add the toasted nuts and tapioca pearls to the pot and cook with the milk till they plump and softens. This should not take longer than 5 minutes. You will see them bigger, swollen and kind of translucent. Press a pearl between your fingers; the center should be cooked too. Now add the sugar and the slivered almonds. Simmer, while stirring till the sugar is dissolved. Switch off the heat and cool. Chill the pudding till ready to serve. and enjoy a bowlful of bliss! I’ve always loved tapioca pudding… Yours looks so good. A wonderful version! Great photos….love the tapioca pearl necklace one. 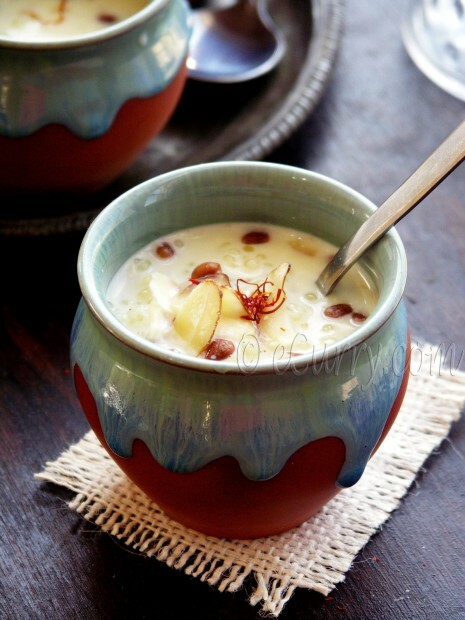 Can’t say I’ve heard of them though….I make a normal rice pudding type kheer but you’ve intrigued me with this! Loved this post and the pictures. I have never had tapioca pudding. I can imagine the texture it’d have got. Where did you get chironji from? Ekhane pawa ee jayena. Got it from the Indian grocery store. This happens to be the very first time I noticed it. Another one of my mom’s favorites! My mother can eat it every day of the week! Loving all ur recipes lately, exactly what I need to feel home sick but just in time before heading home 🙂 Now I can’t wait to see family!! Thanks for the warm and cozy feeling Soma! The pudding must be fabulous. I’ve never eaten tapioca before and don’t the nuts either but if they are like almonds I will love them. Delicious, I have never used Charoli seeds and as you mentioned it is not very common in the south. How does it taste? Do you just add it towards the end or fry them in ghee? lightly toast the nuts. i had missed writing that. also adds the nuts when adding the pearls. updated the post. Thanks !! Those pots just look too cute! I haven’t cooked with Chironji seeds (it is not used very commonly in South India) but have tasted (or I think) in kheers made by friends – but they were a little salty. Are they like that or do you think whoever made it got the salted version? I tried out the raw seeds after I read your comment, and did not find it salty. Not sure of the salted version. 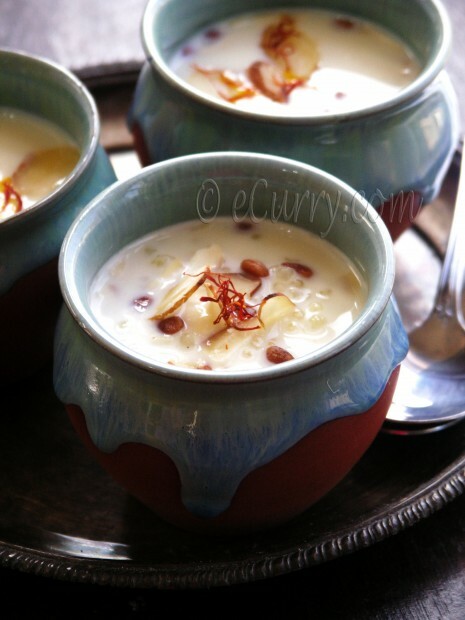 Lovely kheer, looks very comforting and I could almost reach out and grab them. 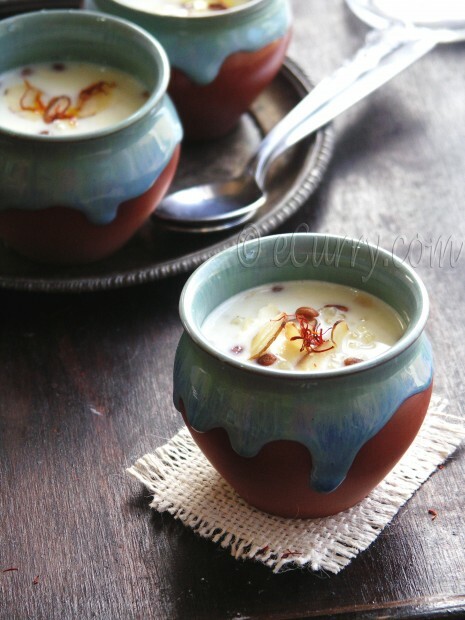 love the clicks of the kheer embellished with the faded saffron in the backdrop bokeh. I love the little pots too!!! That looks so delicious and rich. Love those cute pots! Mmmm like no other tapioca pudding I’ve seen! I should try this. Just made paneer makhani and mango halwa the other day, so I’m on an Indian food streak :). Wow Soma you have taken the Tapioca pudding to an elegant level! Looks so good with Almonds & Saffron! Yum! THIS WILL BE SUSHANTA’S DELIGHT !!! You know, I never knew that tapicoa pearls could be made any other way but sweet. How are they used in a pilaf? I’d also never heard of Charoli before, thanks for the description. love the texture of sabhudhana in sweets. In Tamilnadu its added while making payasams primarily in weddings and not used in any other ways.. Love all the pictures. Funny, but I just came across a recipe for a simple tapioca pudding and was considering making it but how I love the Indian flavors you’ve added here. Saffron, pistachios, yes I think i’ll make it. Your way. Gorgeous! I’ve actually been thinking about making tapioca pudding quite a bit lately. But, your version is above and beyond my tapioca dreams! 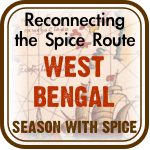 I just love the indian spices. 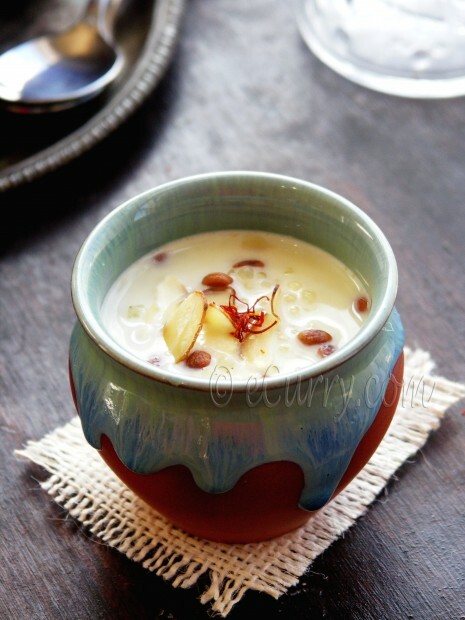 You made the simple Sabudana pudding look gorgeous and exotic! Hats off to you, Soma for the lovely presentation and photography. 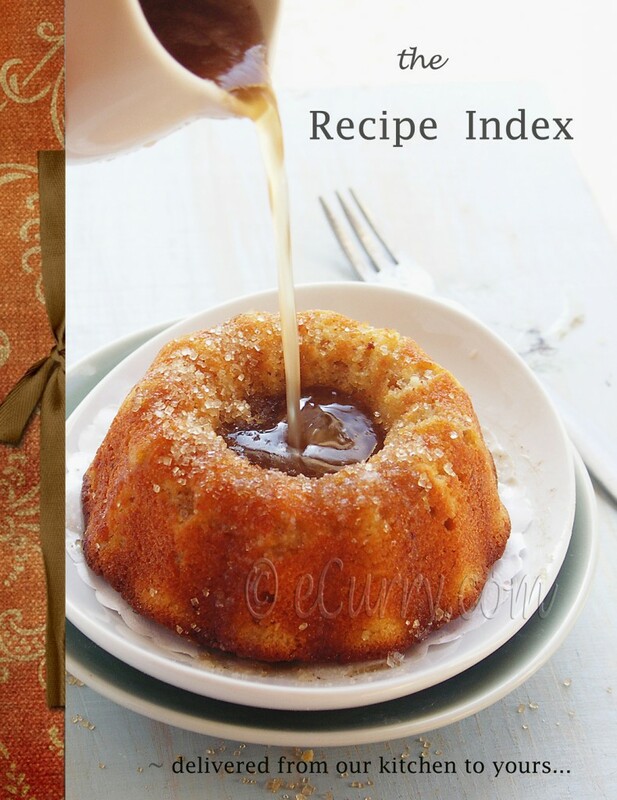 Just love the whole post, picture, recipe et all. Beautiful. Lovely post. I enjoy tapioca but always forget to make it. Thank you for reminding me! I also learned a great deal from the post, thank you for introducing me to Charoli. that’s a delicious combination of flavors! stunning photos! What a truly wonderful mix of flavors in this! 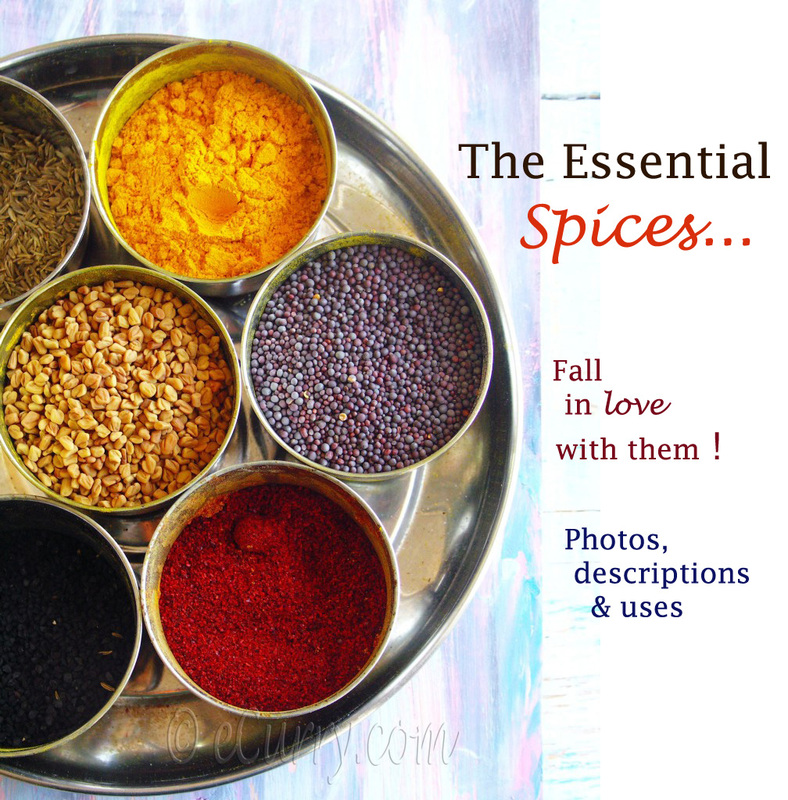 Saffron is my all time favorite spice – so my eyes always light up when I see recipes including it! I love the flavor of saffron, and this sounds like great comfort food! I’ve never tried charoli. I’ll have to look for them. Awesome recipe! Will try it soon. Where did you buy the pots ? I want to buy some. Looks so delicious, hope to try it sometime soon. There are few foods I dislike – but all of them are gelatinous and as a child I had a horror of tapioca pudding – the awful frogspawn analogy! But served it in Thai-form as an adult I developed a love (not so for okra and a type of Lebanese spinach!) which I don’t very often get to indulge. The spices and milkiness of your version looks divine. What a nice set of photos! I have never tasted tapioca pudding. And I had never seen those little nuts you show. A great, informative post. I made this last night. It turned out ver good!!! I will it 4 stars out of five because A pinch of saffron made the whole thing too yellowy. Next time I will put less than a pinch. Thank you! We actually like more saffron! 🙂 Mine turned yellow too, as it rested. 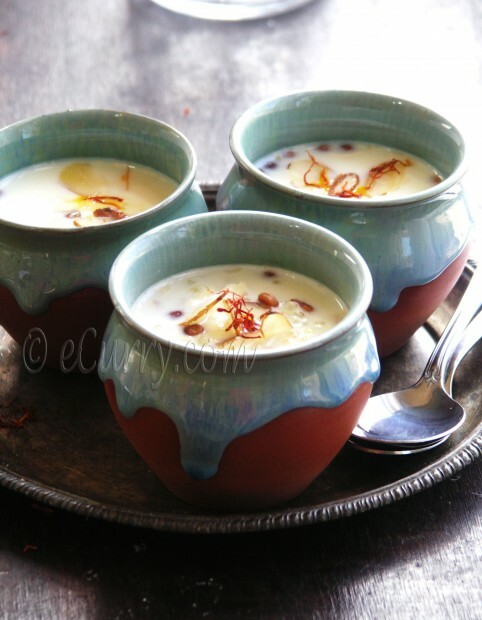 The photographs do not show as they were taken right after I made the kheer. I am really happy to see some non baked deserts and this looks delicious but one thing i would like to know you have mentioned to toast nuts but in the ingridient list nuts are mentioned only for garnishing. Isn’t it? See the ingredient list again; it has slivered almonds or chironji and then more nuts for garnish. In the procedure, I have mentioned to toast the nuts as they taste better (well it is a personal taste) and then towards the end there is a mention to add the nuts. Then again the nuts are used to garnish. I hope this answers your question. Thanks.